We've compiled a list of the top 5 Chinese war movies. Check it out! Despite the fact that China’s been through a lot of conflicts, it doesn’t make as many quality war movies as you may expect. “Quality” and “movie” are key words here. China makes many TV shows about the Second Sino-Japanese War, but many of them are so bad that they’re almost funny (in really dark ways). The movie landscape is slightly better — but oftentimes suffers from instances of nationalism run amok. 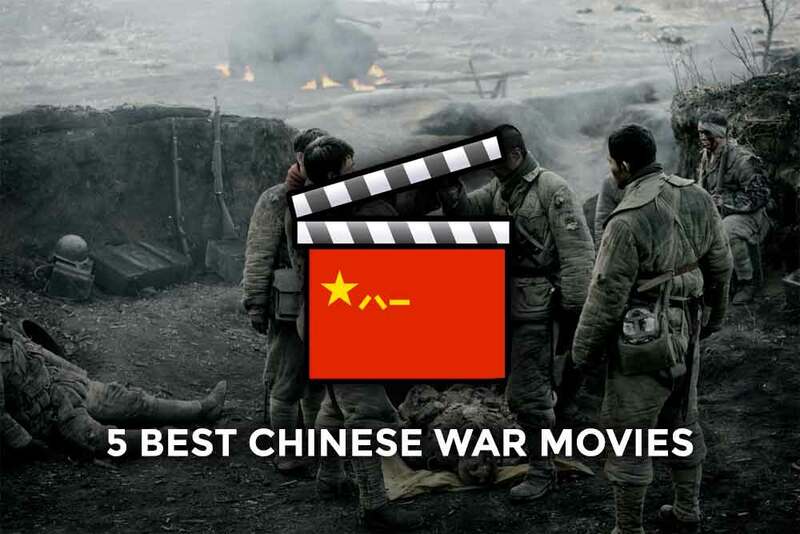 We’ve taken the liberty of sorting the wheat from the chaff and compiling what we think are the top five Chinese war movies. We purposefully focused on movies that are a) modern, b) about real conflicts, and c) show ample combat — meaning pieces like Wolf Warriors 2 or Lust, Caution are out of contention. We also tried to find a varied range of tone and plot structure. Check out our list below — and let us know in the comments if you agree that these are the five best Chinese war films! Back to 1942 (Chinese: 一九四二) seems to have made a concerted attempt at appealing to foreign audiences. Starring Adrien Brody and Tim Robbins in supporting roles, the film centers around the 1942-43 Henan Famine, which occurred during the Second Sino-Japanese War. Back to 1942 depicts not only Japanese atrocities, but also the perceived aloofness and malicious corruption of the Nationalist leadership ruling China at the time. Critics have lauded the movie for its attention to detail, and it enjoys a 7.3/10 rating on Douban (China’s IMDB), which is considerably higher than many other Chinese war films. This is perhaps the most unusual movie on this list. Cow (Chinese: 斗牛) is a black comedy rather than a traditional “shoot-em-up” war film, though it has its fair share of violence. Also set during the Second Sino-Japanese War, Cow tells the story of Niu’er, a bumbling villager who is charged with caring for a temperamental Dutch cow. As conflict rages around him and Nationalists, Communists, and Japanese fight over his village, Niu’er remains steadfastly committed to his cow-herding assignment. Though it has an obligatory shoutout to the Eight Route Army, by focusing deeply on a narrower human story, Cow becomes one of the most nuanced meditations on the emotional toll of war that China has to offer. It’s quirky at times, but surprisingly meaningful for a film with a seemingly ridiculous premise. Cow gets 7.8/10 on Douban. Visually reminiscent of Saving Private Ryan, the 2010 film Death and Glory in Changde (Chinese: 喋血孤城) is based on the events of 1943’s Battle of Changde. Fighting at Changde was intense — even by Second Sino-Japanese War standards. Japanese troops used chemical weapons and engaged Chinese defenders in bloody urban combat. Unsurprisingly, the film’s Chinese title literally translates as “bloodbath, isolated city”. Death and Glory in Changde also scores a relatively high 7.3/10 on Douban. Also known as Nanjing! Nanjing! after its Chinese title, City of Life and Death (Chinese: 南京！南京！) is about the Battle of Nanjing and subsequent massacre. 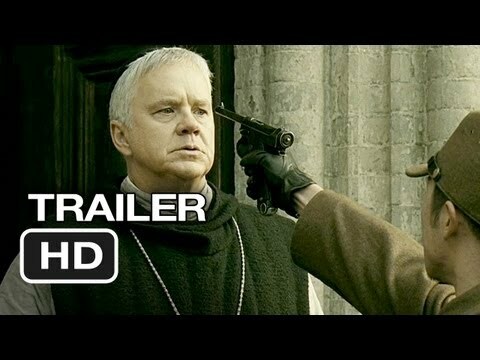 City of Life and Death might be the most depressing movie on this list. Shot in black and white, it offers a stark portrayal of the atrocities committed at Nanjing and the preceding lopsided military campaign. Chinese netizens have given it an averaged 7.4/10 on Douban. For the #1 Chinese war movie, we present Assembly (Chinese: 集结号). Released in 2007, this movie remains the gold standard for Chinese war films for its stirring storyline, intense combat scenes, and nuanced approach to nationalism. The first time I watched it, it felt like a Chinese Band of Brothers. Assembly, unlike the other films on this list, spans both the Chinese Civil War and Korean War. It tells the story of a People’s Liberation Army captain who must redeem himself after his entire unit is wiped out in a Nationalist attack. On Douban, Chinese netizens give it a 7.8/10. Do you agree with our list? Let us know in the comments below! For more war movies, check out Top Five WWII movies from the German perspective!